This, I promise, will not lead to a Erik Nylin Combination Tool / Corkscrew page. However, as of a few moments ago, a deal was struck with another collector that will have three variations of the Nylin patent heading to the island. I headed down to the post office today, and there were a couple of packages waiting for me. 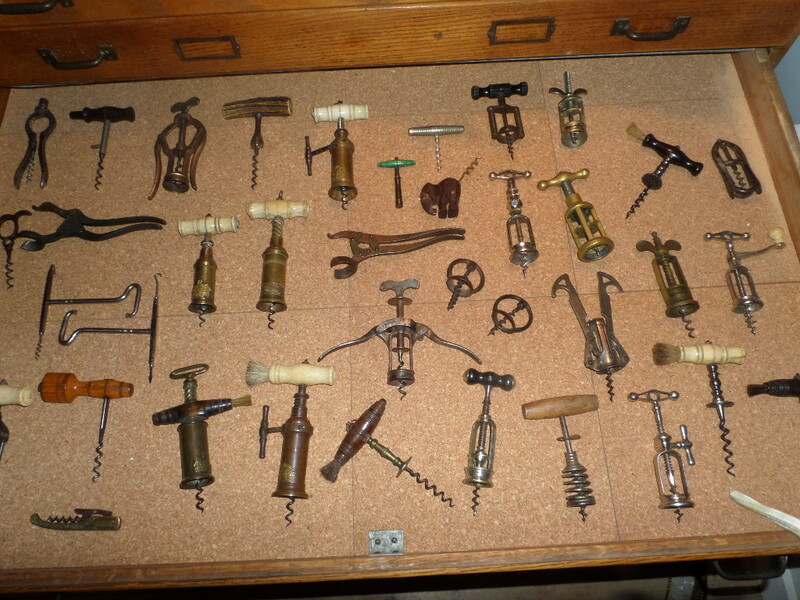 And, one of them was a corkscrew! The other day, I had picked up an interesting lot of sterling pieces, and what I had thought was a Fairchild patent, was actually a LeRoy Haff patent. In fabulous shape, with lots of embossing not he case. It is pictured below next to another example I have, this time with a hammered finish. 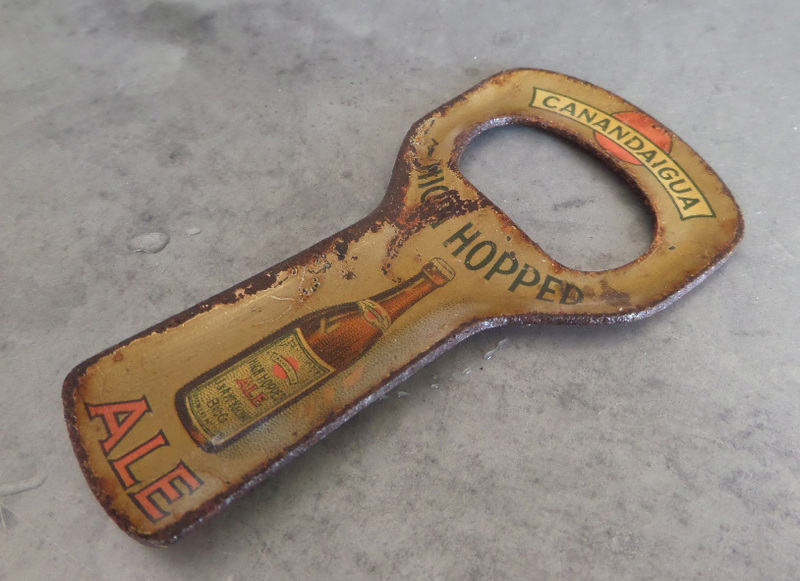 The other arrival, was actually a small grouping of bottle openers with carrying beer advertising. The photos of the openers were poor, but still there were some interesting things within the lot, and they will all be heading to Chapel Hill, NC in April where the JFO meeting will be held. TWJ, your pile is getting bigger! 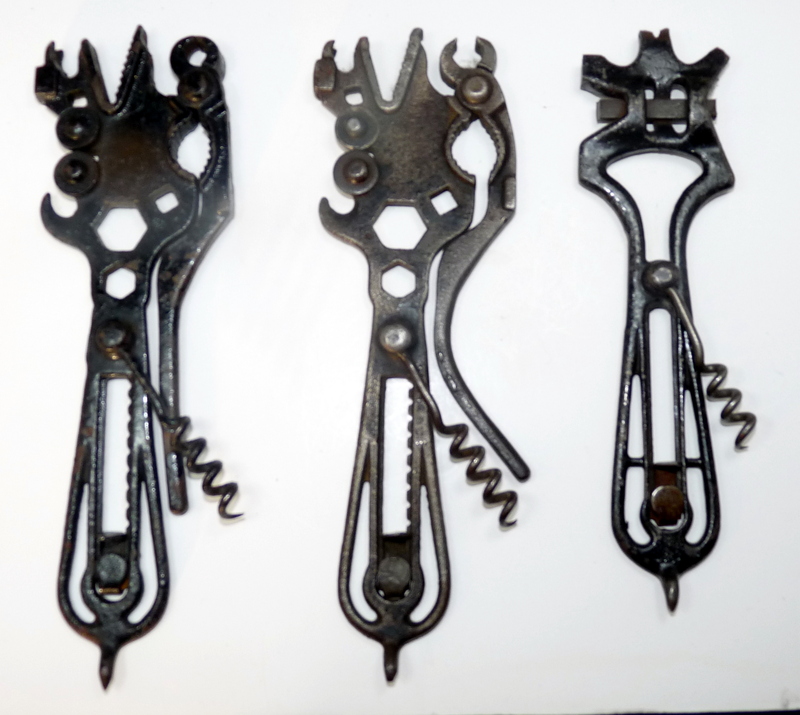 And, as of a few minutes ago, a few more interesting corkscrews were added to the BUY NOW website. One of which, I jumped on immediately. I have several Heeley Double Levers, but I have never had one in the original box. Note to self: keep checking the site, you never know what might show up! I was off island yesterday, running some errands (not finding any corkscrews) and when I returned yesterday evening, I received the following email. Josef, you are absolutely right, I will take care of it directly. Thanks for your frank response. And, obviously you do nice work! 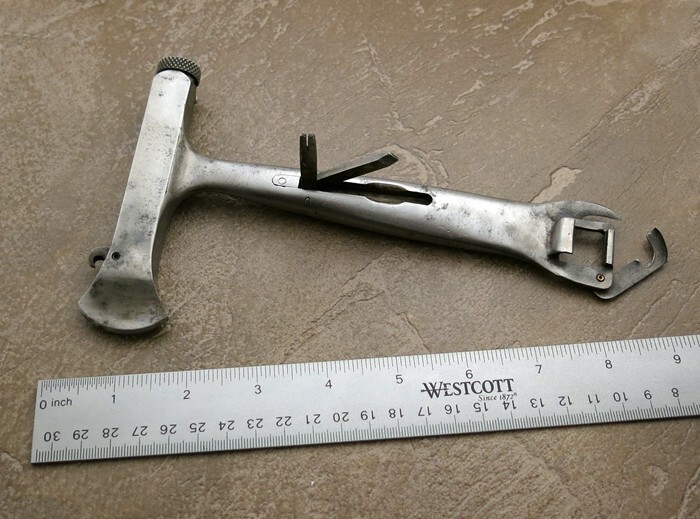 That said, you might want to disclose in your listing that this handle is one you made, as opposed to an original one from the 1880’s. 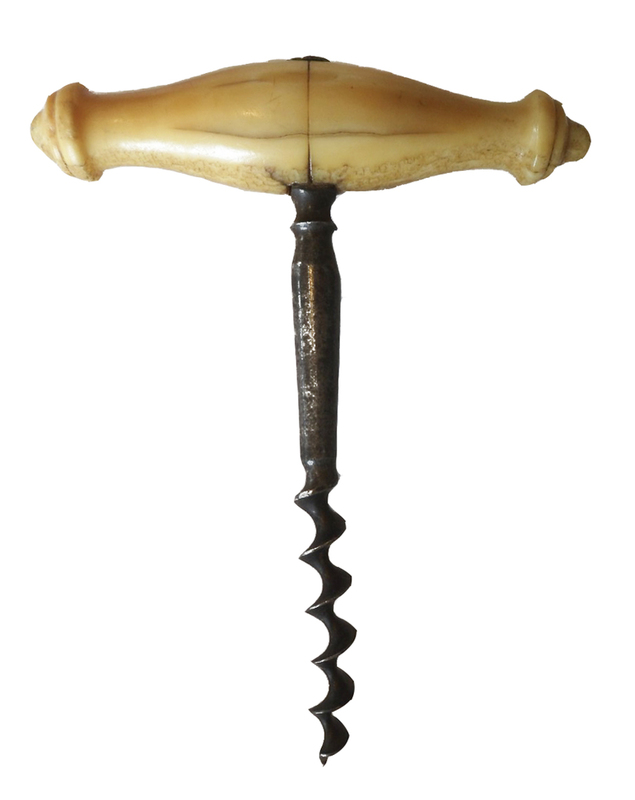 It would be a shame for a collector of antique corkscrews to buy this, thinking it is a rare ivory handled Humason and Beckley corkscrew, only to come to realize that the handle is of modern manufacture. 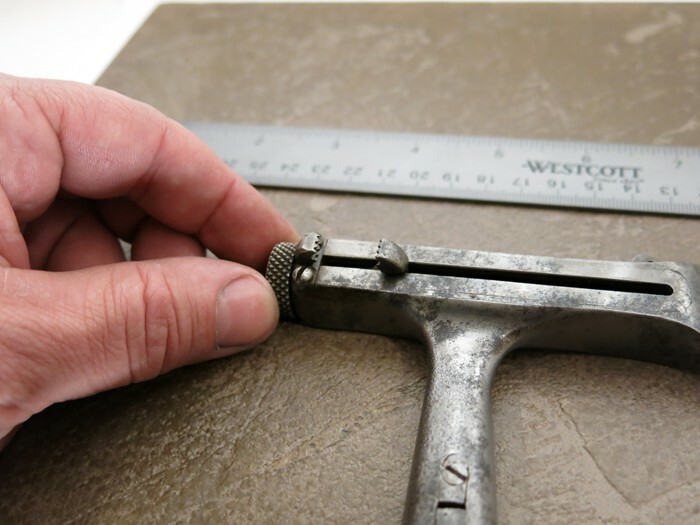 Stating that it is your craftwork would allow the buyers to make an informed decision. While there are some folk out there not disclosing damage, sometimes misrepresenting their items, or selling reproductions or corkscrews that are questionable, it is nice to see that a dealer/seller was willing to fix the issue. 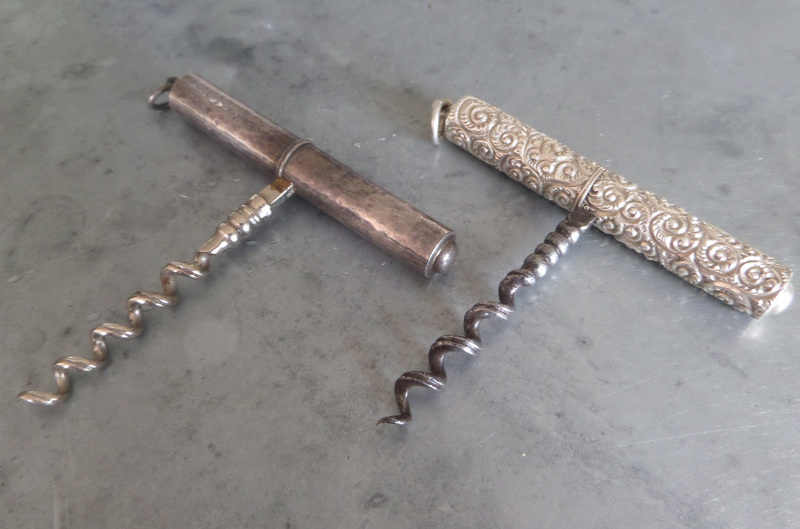 I will preface this by saying, I have had a couple of corkscrews with Ivory or Bone handles that were indeed made by Humason and Beckley–with their CASTSTEEL marking. 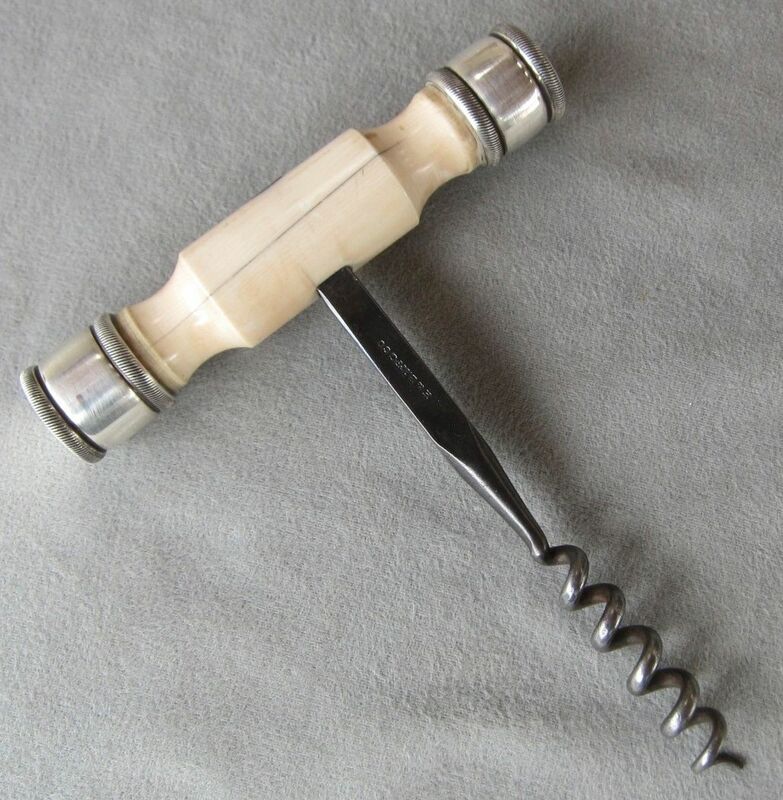 So, finding an Ivory direct pull corkscrew made by H & B Mfg., is entirely possible. 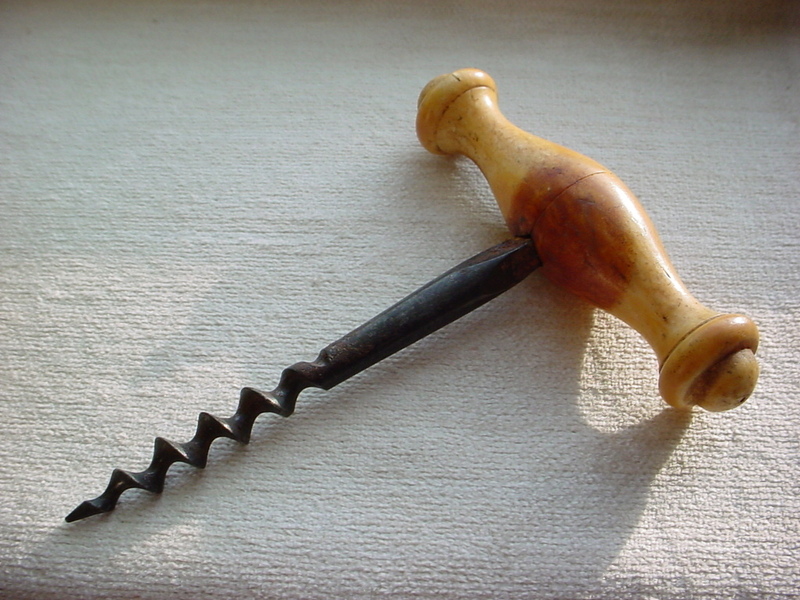 A signed CAST STEEL corkscrew, with turned bone handle is pictured below. 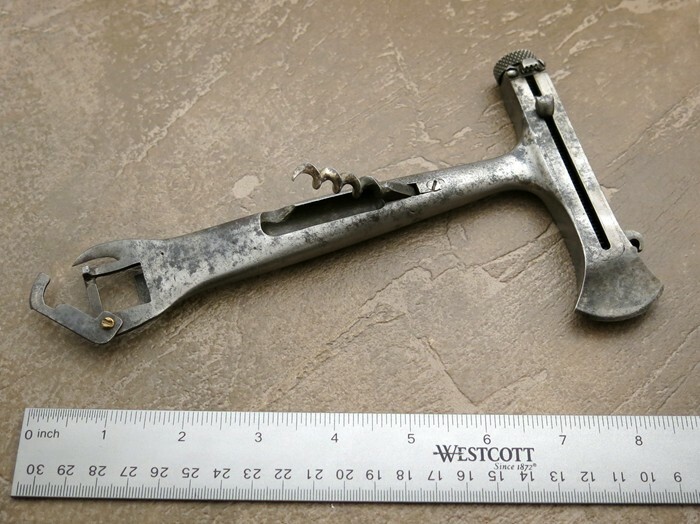 That said, and keeping with the idea of what to look for when examining a corkscrew that might look too good to be true, and also sharing that information with others, recently there was a Humason and Beckley direct pull listed on eBay. 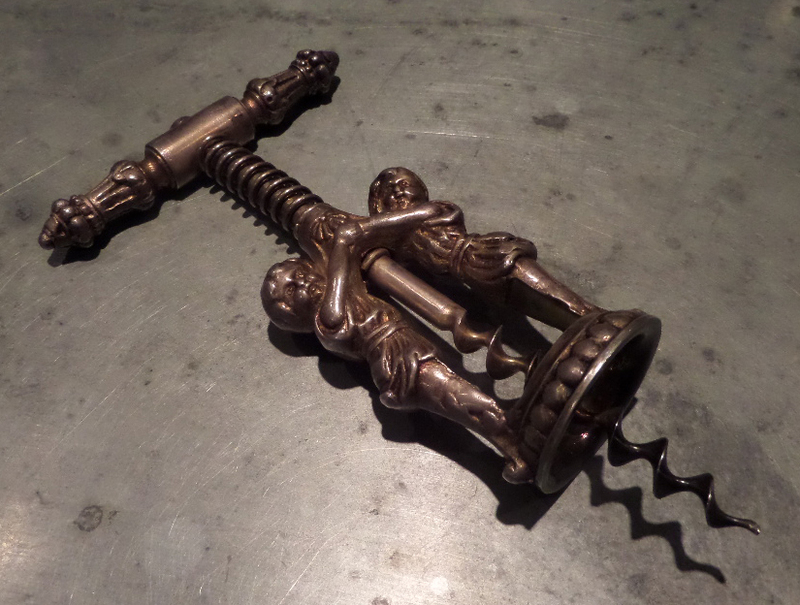 This handsome corkscrew has a he-man sized handle that will enable you to rip out that cork with little or not effort. I’ve used it a number of times and it works perfectly. There are some touch marks on one end as shown in the photos. The handle is pachyderm dentine with sterling silver end caps. The stem is marked H. & B Mfg. Co. Please don’t hesitate to ask questions…. In looking at the shaft of the corkscrew, it does carry the H & B mark. So technically it is an H & B corkscrew. Could this be a genuine Ivory handled corkscrew? Again, technically yes. The Ivory could indeed be genuine, say…if you had a spare elephant part hanging around, and you chose to put it on a lathe to mimic the shape of the Humason & Beckley handle. Does this handle belong on this corkscrew? 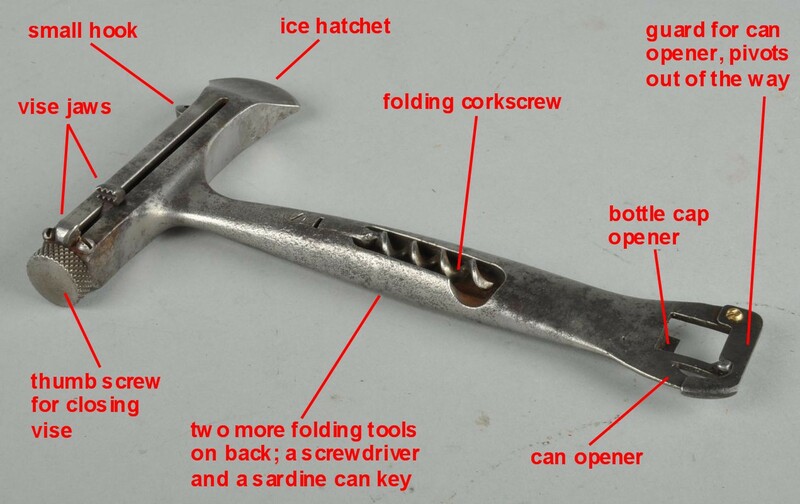 Well, sure…I mean if you had a Humason and Beckley shaft lacking a handle, and you desperately needed to open a bottle of wine, a handle would “belong” on the corkscrew. The bigger question is, is this handle original to the corkscrew? What were the tip offs? There are several, but simply take a look at the silver end caps. They definitely have a modern look to them, but moreover look at the silver markings on the end of the end cap. 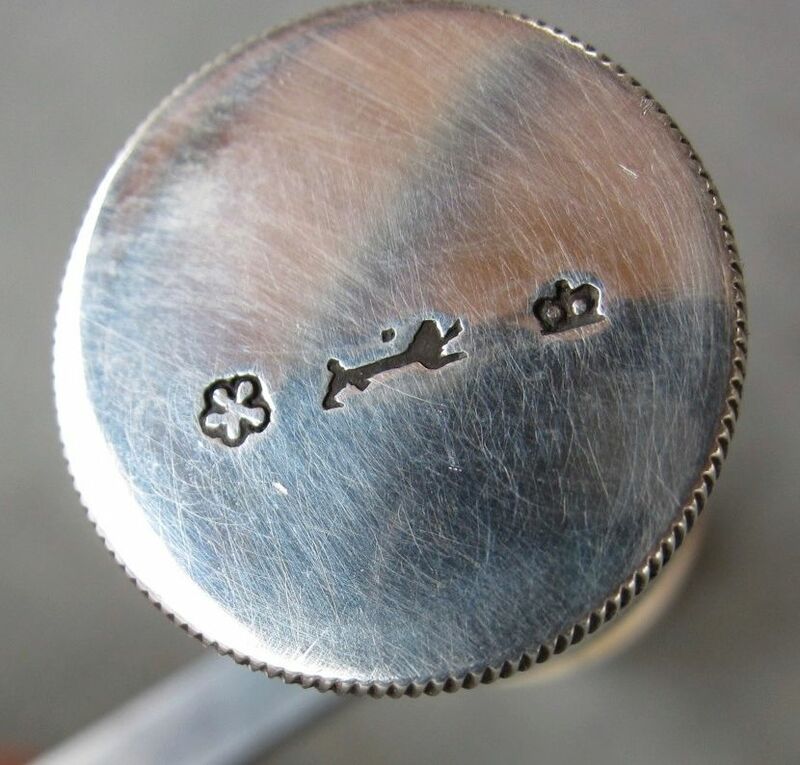 These are not from any known silver maker from that time period…or any known silver maker anywhere near that time period. Also, take a look at the ivory itself, it looks new. 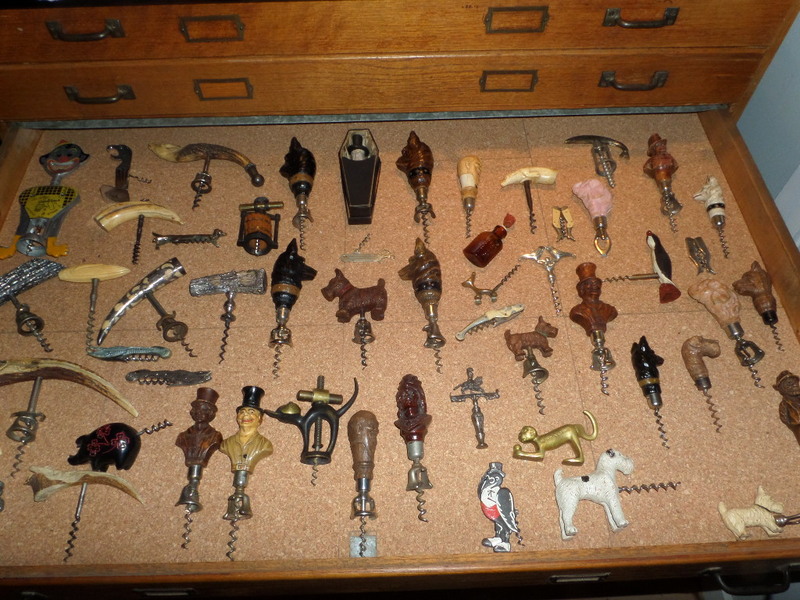 The ivory handled corkscrews in my collection have an aged, yellowed, look to them. For example, take a look at the ivory handled Murphy (or the Cast Steel above), you can see the age/patina/yellowing/browning from years of age and years of usage and handling (oil from one’s hands, and such). After looking closely at the images multiple times, I just decided to take my own advice, and I emailed the seller. I asked where he had acquired it, as he is from California, and Lundberg Bros (also from California) are known to make handles for corkscrews out of bone and such. They have a website that explains this, so this isn’t really news. Josef, In response to your question, I am a sculptor. 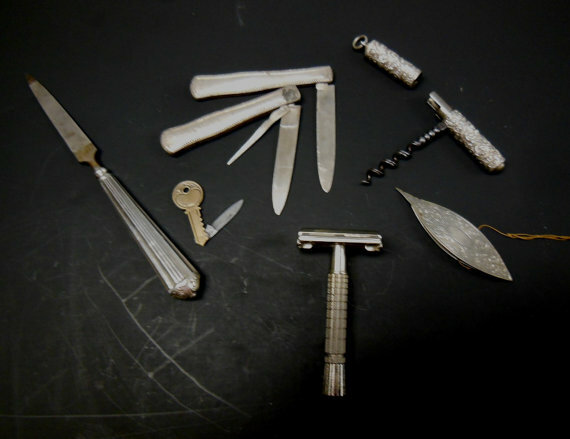 90% of what I make are copies of old tools that I make with precious metals and other natural materials. Occasionally I will pick another subject such as a padlock in silver or a fishing lure in some exotic material or a corkscrew. Yes, I did make this one. It’s the first one and it is the last one. I have no knowledge of anyone in No. California making things. The touch marks are antique symbols that I’ve collected over the years as an antique tool dealer. So…we know why the silver marks are seemingly somewhat random, and not from the appropriate time period. But, the seller was honest enough to disclose that this is indeed a made up corkscrew, and a handsome one at that, but definitely not original. (I have since suggested to the seller that he share this information on his listing, so that the potential buyer would be able to make a more informed decision). I have been spending a bit of time sanding the floors on the upstairs landing as of late, and hopefully will have that project done by the weekend. And, after dusting myself off yesterday, I headed down street to the post office and our p.o. box, within which contained a copy of Decanter Magazine. I know I had posted .jpgs of the article a little while back, but I have since turned it into a pdf, that will be a little easier to read. And, as luck would have it, while I was perusing a favorite website (not eBay) I happened up on an interesting lot with a fair asking price. 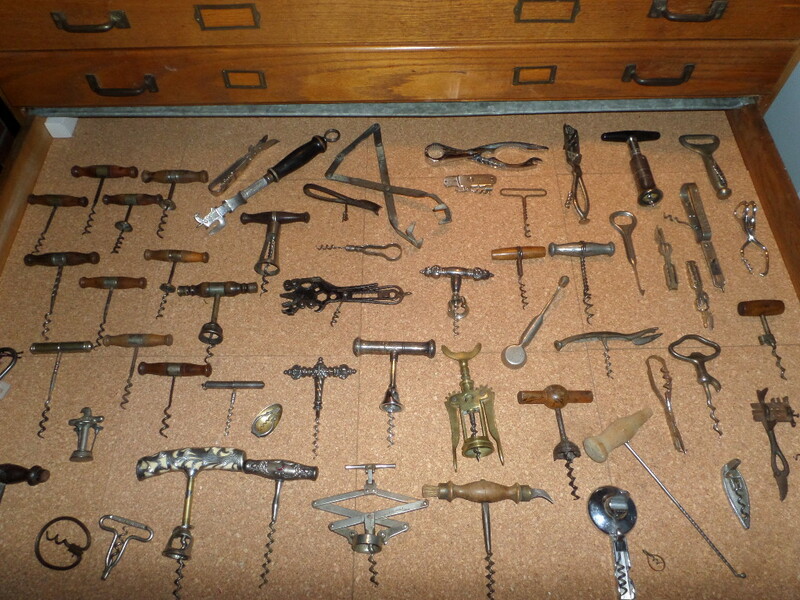 I will gladly part with the non-corkscrew items if any of you are inclined, but the Fairchild Patent Roundlet will be a nice addition to the collection. I do already have one, but it will be interesting to see the design of the casing and how it is marked. On the Multi-Tool (mentioned yesterday) information search, no one has seemed to have seen this particular tool before. And, as it is unmarked, it remains a bit of a mystery. I will keep digging! It doesn’t appear in Screwbase, and in conversations with a couple of tool/corkscrew folk they have never seen it. It is quite the tool, and one I would love to have in the collection. It has some interesting functions too! This morning, a few more photos were received. 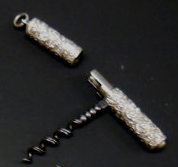 If anyone has any information regarding this interesting multi-tool with corkscrew, please drop me a line. 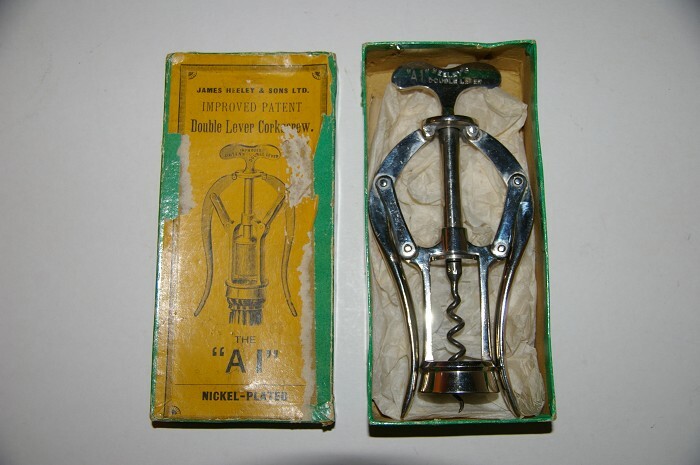 And, if you have this particular multi-tool with corkscrew, and would like to part with it, I am definitely interested! 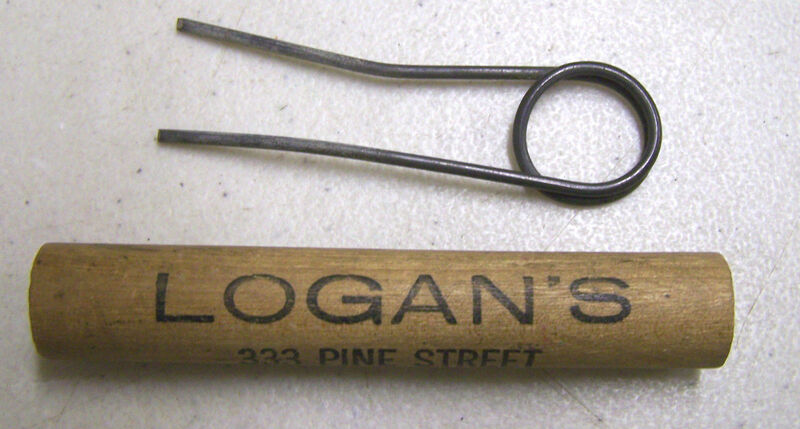 I had sent an email out to a couple of people to get their opinion on the Logan’s (potential) prong puller. Wow -I have never seen this puller before, the sheath and prongs are are quite long but I think it looks real, I certainly would have taken a chance. I assume the sheath fits through the prong openings? The sheath sure has a large area for advertising neat design, perhaps a patent could have been considered but never “applied for”. Interesting. Don’t know, wouldn’t rule it out, but: If designed as a cork puller the tips would be flattened to easily slide between cork and bottle neck. On the other hand, it appears that the sheath fits into the loop to serve as a T handle, but for what? To wind something up, to unlock something, ??? Don’t know. Holler if you get a good answer – very unusual. It will be interesting to get a better look at it when it arrives, but until then… Feel free to weigh in! cork puller or not a cork puller??? This morning, on our second favorite auction site, an interesting cork puller had been listed. At least, it was billed as a cork puller. And, as fortune would have it, it also had a fairly low buy it now. I looked at the item, then looked again, then looked again. It was at the same time, somewhat of a mystery, but also somewhat familiar. Of course, with a low buy it now, if I hesitated, it was entirely possible that it could end up in the clutches of another collector. I went back to the listing one more time, and clicked the buy it now button. After paying for the item, I again read the description. 5 inches? I went over to the corkscrew case, and checked the Clough’s that I have. Most to the wooden sheaths that I have for the Clough’s in my collection are about 2 – 2 1/2 inches. Based on the seller’s explanation that the piece is 5 inches long, that puts the prongs themselves at about 3 inches. About the right size for a beer or wine cork. But, is this a cork puller? I also considered that this might be a longer sheath that used to cover a Clough direct puller (with the hot dog shaped handle). But, those usually have a rounded end. Now, I did peruse the back of O’Leary as I have never seen anything like this. 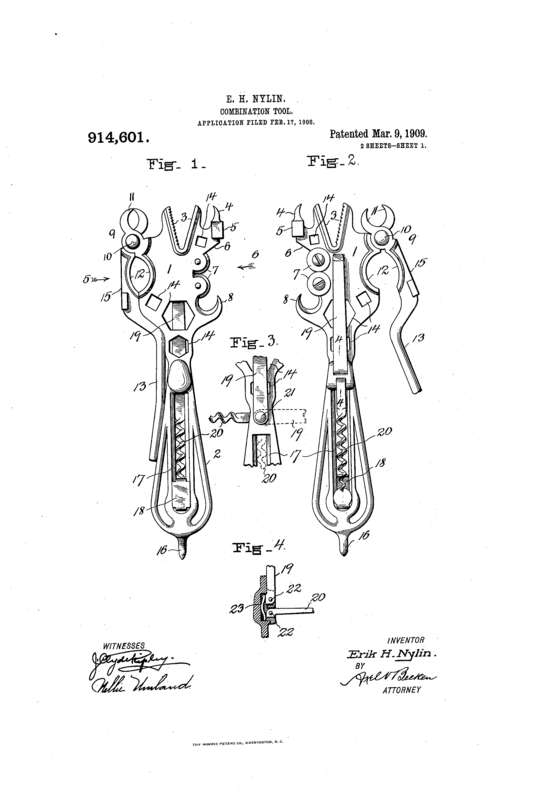 And, there is a 1904 Kennedy patent that is a similar idea, but the drawings don’t match up exactly. From the pictures, it is hard to see if the little prongs, would function as a prong puller should. But, could they? When it arrives next week, I will take better pictures, but based on the two that were part of the listing, and with Logan unavailable to answer the question, what do you think? 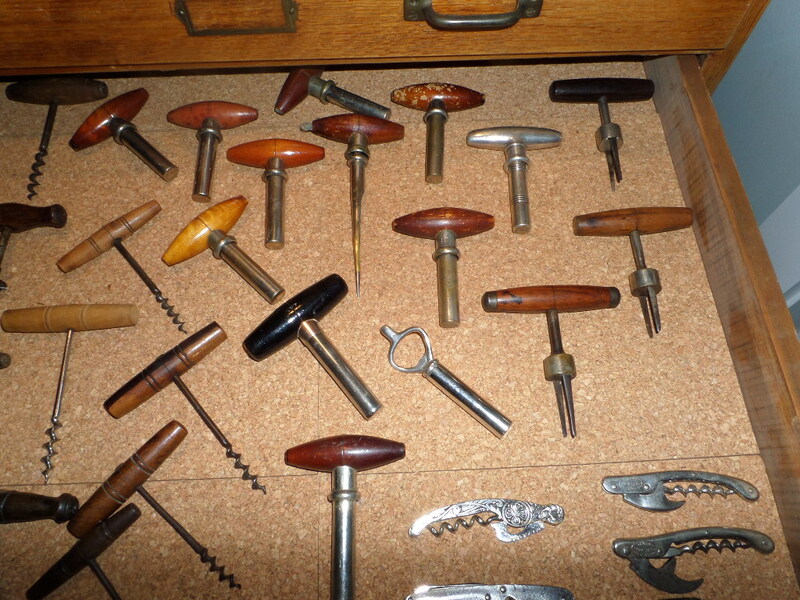 A Cork Puller, or Not a Cork Puller And, if Not, what is it? 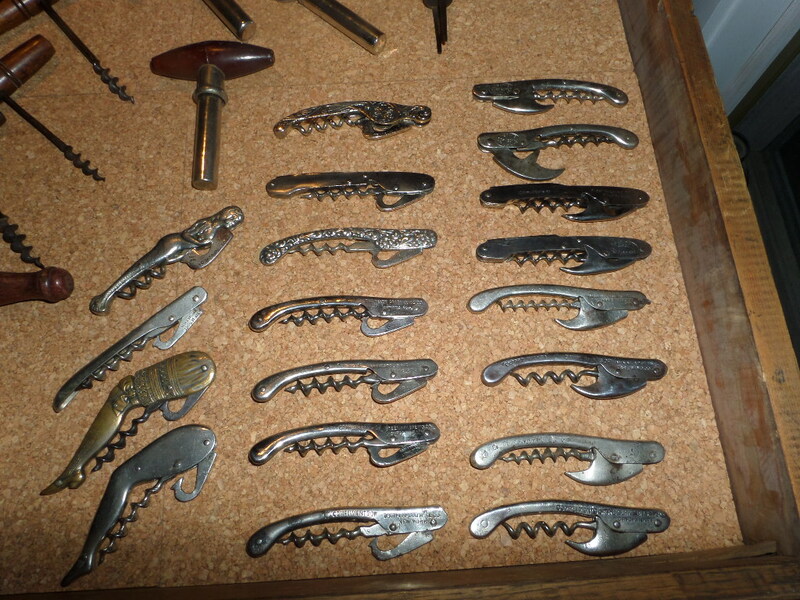 Every once in a while, the corkscrew case gets a bit disorganized and needs to be straightened out a bit. And, as the lovely personal personal trainer went snowshoeing with some friends this afternoon, I thought I would give it a go. After a few hours of moving stuff around, there a little more semblance of order. 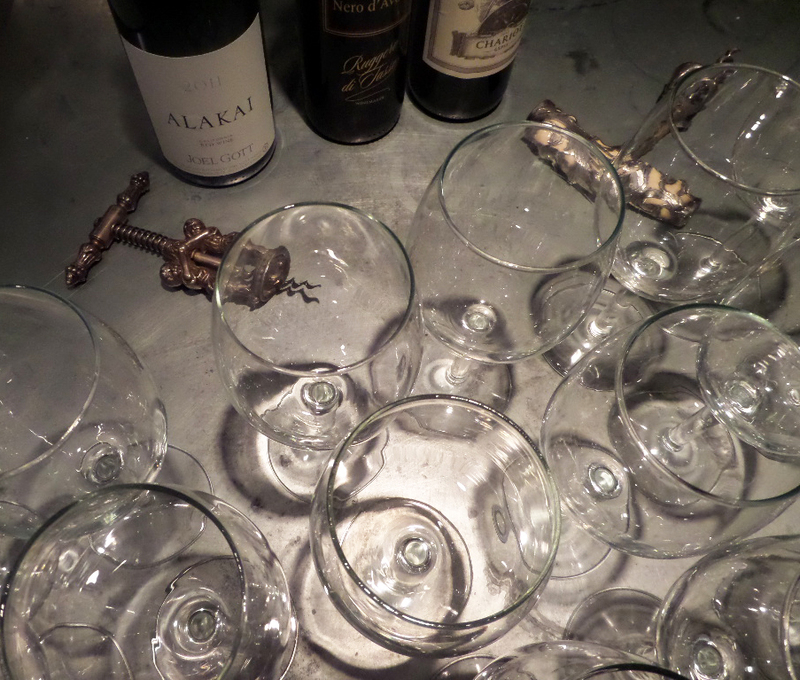 The Children in Frame mechanical/figural corkscrew arrived yesterday, and just in time, as we had 18 people for a valentine’s dinner last night. It was a lovely evening, and the corkscrew got used multiple times!